» The following is an account from a frum Jewish couple’s recent trip to this resort. We value their privacy as they preferred to remain anonymous, but found their feedback and insights very helpful on this program and resort. Having just returned from this trip, I can tell you what was missing from this program. Firstly, the good: which is meager. The grounds are very nice, and the beach is beautiful. 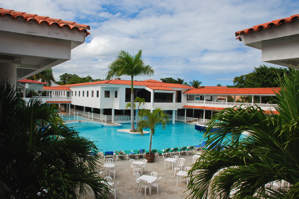 The hotel complex is the Celuisma Resort on Playa Dorado. The resort is horrible. The only thing worse than the hotel is the service. The hotel management will smile at you, but do absolutely nothing when you need their help. We asked for towels five times, and were told that guests were limited to one towel per person! Our shower had mold on the ceiling, and the hot water did not work throughout most of the complex. The friends with whom we went with had no blanket on the day we arrived, and after being assured personally by everyone that they would get it, it never arrived at all! Imagine an entire vacation without having a blanket on your bed? So if you want a poorly run program with mediocre food, horrible service, and a property badly in need of renovation, but all you want is beach and don’t care about the rest, than this place is for you. Otherwise, stay home. Shabbat was a disaster, but not like Saturday night when the food was really late and a fight broke out. Breakfast was ok, lunch was awful and dinner was passable. The three owners don’t seem to care much; they just keep repeating something like you get what you pay for. We happened to be there with a huge Sephardic crowd, so there was no Ashkenazic davening and on the first night, no mechitza so the women stood in the hallway. All in all, the food was unhealthy and substandard. The hotel was unresponsive, unprepared, and needs to be updated. I would suggest that they purchase some towels, too. If you do decide to go, bring Clorox, towels, and a pillow. On the upside, there is plenty of free soda, bottom shelf alcohol, and sugary drinks. Notes: The program moved about a month ago. 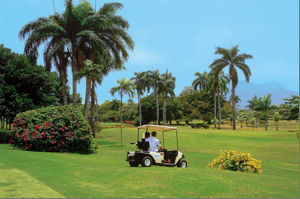 The King Solomon Kosher Resort is a program, not a location. They had been in one location, and told us they moved about a month ago to a better location. Playa Dorado, where they now are, is a gated area with several resorts. The American Casino is in the enclosure. The hotel is just not equipped to handle as many people with special needs (i.e. kosher and Shabbat observant). For example, they ran out of hot water, Friday afternoon. It is because the hotel is not equipped to have hundreds of people taking hot showers at the same time. Most hotels probably are not. After Shabbat, things get back to normal, and there is hot water. They are very nice, however, they make promises they do not keep. As for the food, it was not amazing, but if you are not fussy, it was fine, and plentiful. Avoid buildings 11 and 12. Ask for Building 19, which was recently renovated. Overall, this program was a disaster; the people behaved badly, the promoters behaved badly… I’d rather eat salad and tuna fish at a non-kosher resort then do that again. I can tell you that a lot of people were upset. Most were upset, mainly with the hotel itself than the kosher program, but those guys (Kosher program organizer) need to get it together. They claim that they are going to try to improve for their Passover program. In the end, it’s all about expectations. Phenomenal? No. Good enough? I am sure there were several who felt that way. NOTE: As of late January 2011, the local Chabad has dropped their hashgacha from this program.